If you’re going to the Chicago Pinball Expo later this week, be sure to check out our panel at 4:00 PM Friday, October 19th! It’s “The Mystery and Science of Pinball Theater”! See our amazing video riff of classic Bally-Williams promo videos, using Spooky Pinball’s perfect replicas of some famous hot-glue robots. 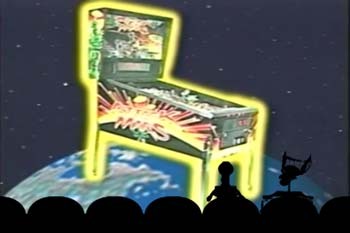 This is followed by a live “game show” where the audience can win a bunch of great prizes from Spooky Pinball sponsors. Also at the show, look for Ben Heck Zombie Adventureland T-shirts that can be signed by myself, John Popadiuk, or both!